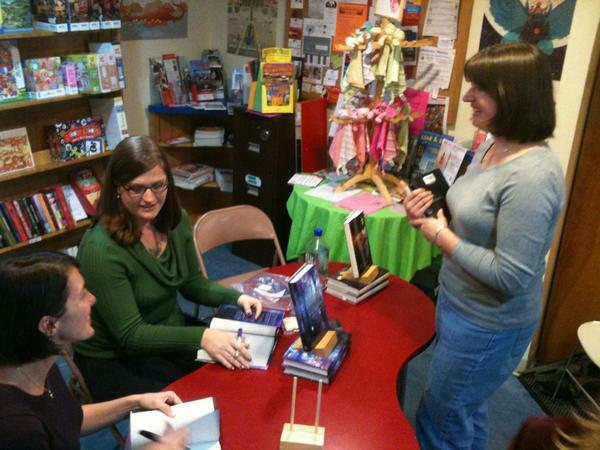 One of my absolute favorite things about being a young adult author is interacting with young readers. I’ve spoken with fans as young as eight years old, as well as to classrooms full of high school students, and it never gets old. If you’re interested in having me come speak at your school or library (or other event!) please don’t hesitate to contact me via email and we can discuss costs and availability. If it’s not in your budget to bring authors to your school or events in person, consider booking a Skype visit for your classroom or book club! Here are some examples of school visits I’ve done in the past, as well as visits I’d like to do in the future! Workshop with creative writing students, focusing on specific areas like improving dialogue, building dramatic tension, artistic sentence construction, and strengthening character development.